Well, folks, 1988 has finally come to a close, and most people still have some shopping left to do. Deciding what to buy for others and for yourself can be a daunting task, especially given that any one item can come in so many different varieties from so many different manufacturers. Before you spend another dime at your local Woolworth's or Montgomery Ward, take a moment to read our product recommendations so that you can go into 1989 with your head held high, confident that you have been a wise and frugal buyer. Our recommendations are based on the information in Consumer Reports' 1989 Buying Guide Issue, a book which I found for less than a dollar at a library book sale. Considering the book's listed price is $6.95, this was an incredible find, though I am baffled by how such a valuable book could work its way into a library book sale so quickly. Though we could easily spend all day suggesting various garage-door openers, cycling timers, large cooler chests, oil-filter wrenches, life jackets, household glues, hand-held vacuum cleaners, breads, spackling compounds, and pancake syrups, we've decided to stick to what we know best: comic books. However, because Consumer Reports doesn't test comic books, we'll have to instead go with a quickfire list of our picks for audio/video entertainment. If you saw Crocodile Dundee II this year and thought, "Gee, I could make a funnier movie than that," then a camcorder should be right up your alley. Magnavox, Panasonic, and Olympus have a number of good models on the market, but our picks are the GE 9-9806 and the Quasar VM-21AC. Among the things we like are that both have an internal clock that can record the time and date; both have a light that lets others know when the device is recording; both are designed to rest on your shoulder while recording; and both are fairly reasonably priced as far as camcorders go, selling for around $1500. Of course, you'll want to have a top-of-the-line VCR to play your movie. The cheaper ones, in the $250-$350 range, are generally just as good as the more expensive models; Fisher, Zenith, Emerson, and Sylvania are all decent picks. If you're thinking about owning a VCR for the long term, it may be wise to avoid products by Sony, because they are among the least reliable video playback devices on the market right now, and could run you anywhere from $75 - $200 for repairs. Honestly, I wouldn't be surprised if the other brands run Sony out of the market; maybe they'd have more success competing with Toshiba and Norelco in the arena of coffee makers. You might have a camcorder and VCR, but no home-movie-watching experience is complete (or possible) without a television. While the Gold Star CMT-4408 ($220-$380) doesn't have any handles for carrying it around, we still think it's one of the best models available, especially because the number of the channel you're watching actually appears on the screen. The 5-year warranty on the picture tube doesn't hurt, either, so you'll be able to enjoy the pictures on that 13-inch screen for years to come. Because you can't watch the latest episode of China Beach or Murphy Brown if you're on the go, you'll need something else to entertain you when you have to leave your TV behind. There isn't a particular model that really stands out to us as the absolute best, but we think a boom box makes a great gift. As long as you politely turn down the volume when the man on the bus with the bandana-clad, pointy-eared friend asks you to, a boom box is an excellent way to stay entertained on those long trips. It might be uncomfortable to lug around a 10- or 15-lb. box everywhere you go, but it's worth it to be able to listen to Rick Astley's somewhat new hit, "Never Gonna Give You Up," literally anywhere in the world at any time. When you do inevitably leave your house to go somewhere, why not travel in style? If you don't have the money to buy a new car as a gift, the market for used cars is populated by a number of great deals. 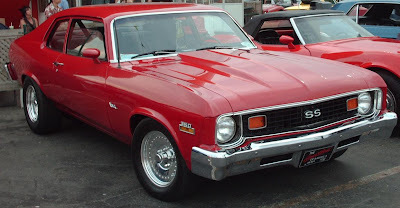 However, don't be lured in by the low price and easy-to-read displays of a Yugo; if you want a smooth ride that will get you to your destination with all your limbs intact, the dependable Chevy Nova is a much safer bet. If you're in the market for a sportier car, the Nissan Pulsar NX should work fine for you, provided you're not too tall and care mostly about comfortable seats and nice air conditioning. If you're in the market for a fuel-efficient compact car, the Honda Accord is an excellent choice; it gets 40 mpg on the expressway, and that number is bound to increase as technology becomes more sophisticated in future models. Speaking of sophisticated technology, we're going to skip over mentioning the sleekest Sears Catalogue electronic typewriter to discuss what we believe is the future of writing: personal computers. There now exists a wealth of word processing software (computer programs) at more reasonable prices than the $600-$700 software businesses typically use. Our favorite, hands-down, is PFS: Professional Write 1.0; as far as computer programs go, it's easy to learn and use, and it's quite reliable. We anticipate that Professional Write will completely eclipse the likes of WordPerfect 4.2 (our runner-up), Display Write 4, Wordstar 2000, and Microsoft Word 4.0 in no time. Lastly, if you're buying games for your Nintendo Entertainment System, we highly recommend the newly released Mega Man 2. It's tremendous fun, though we'll be surprised if it retains its popularity over the next few years, considering the rise in popularity of adventure games such as Leisure Suit Larry. That about wraps up our recommendations for Gifts for Geeks this year. We trust our advice will be invaluable to you when you leave your house to brave the crowds and go shopping. Oh, and if you're curious, we printed this document using an NEC P660, the finest parallel-port dot-matrix printer you'd ever want to buy. I wanted to reply to this two years ago, but failed even more miserably: thank you!